This is a kick spindle. It spins much finer than the drop spindle. Old drop spindle. I put the removable arrow on it to remember which way I'm spinning. This is an example of bobbin lace making. This pattern is Round the Rosey. The dark yarn (cappochino) is hand spun. 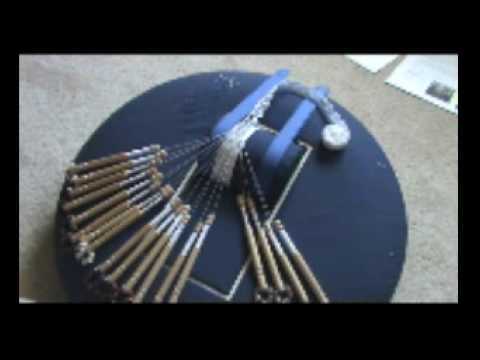 A beginning demonstration of how bobbin lace is made.